If you are starting to learn digital advertising, the jargon and excessive use of acronyms can become overwhelming and confusing. There are many things that have contributed to this over-complication, including: the incredibly fast growth of the industry, terms being adapted from traditional advertising, and the many different platforms have different definitions for the same term. This post is meant to serve as a very introductory glossary for online advertising for people planning their first campaign or curious about the industry. A single serve of an ad to a user. Impression viewability is often measured by how much of an ad makes it onto a users screen and / or how long the ad plays on a user’s device. A.K.A. Cost Per Thousand – How much it costs for 1000 impressions. A.K.A. Click-through Rate – The rate at which an ad was clicked compared to the number of times it was shown, usually expressed as a percentage. The total number of users who were shown an ad, sometimes expressed as a percentage of all users eligible to see the ad. A campaign schedule, specifying dates and times the ads should be shown. The number of times an ad was shown to the same user. A.K.A. Cost-Per-Click – The amount charged for one click of an ad by a user. A.K.A. Retargeting – Showing ads to users who have visited your site in the past. The web page that users are sent to after they click on an ad. The method used to describe an advertiser’s ideal audience. It can be expressed in many ways including location, demographics, and user behavior. Want to learn more about digital advertising, or maybe even plan your first campaign? Contact one of our MorningStar sales people for a consultation. Just want to learn definitions of digital advertising terms? Here is my favorite resource – the Wiki of the Interactive Advertising Bureau. Jack Dwyer is MorningStar’s Online Media Strategist (aka the digital ninja). When its time to put your digital marketing strategy to task, Jack has the tools to make it happen. 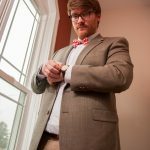 With a degree in Computer Science from University of Alabama, he has the experience you need to solve a variety of problems.